Station wagon means surefire flop in India. Traditionally, Indians have stayed away from this category of cars despite station wagons being extremely practical for everyday use. The Tata Estate was one of the earliest stationwagons that India had in the 1990s. 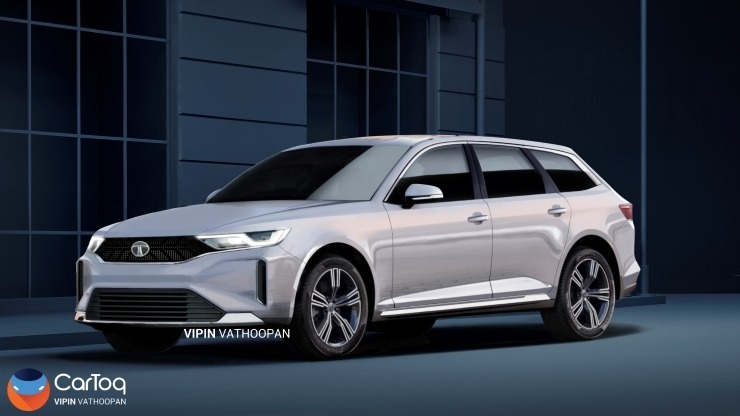 Our rendering expert Vipin Vathoopan has put together a render of the next-gen Tata Estate. Here’s what it could look like. This render uses Tata Motors’ latest design language: Impact 2.0. However, the design of the Tata Estate takes a classy approach with clean lines all around instead of radical looks that Impact 2.0 has now come to be known for. 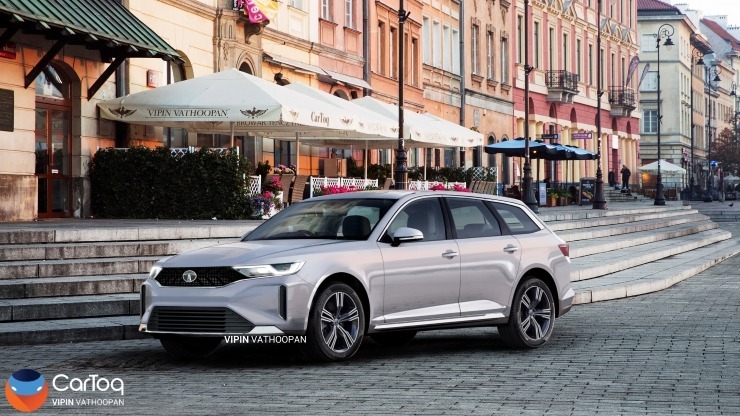 Just like the original version, the next-generation Tata Estate, if ever put into production, is expected to be long and low. If put into production, t’s expected to have a five seat layout with emphasis on space and of-course, a massive boot. Tata Motors has made no mention of resurrecting the Estate though and this render is purely a figment of imagination as of now. However, given the fact that Pratap Bose, the design head of Tata Motors, revealed that the Sierra would be one vehicle he’d like to resurrect in the future, a similar approach with the Estate can’t be ruled out. If Tata Motors brings back the Estate, expect a radical departure in terms of mechanicals. While the original Tata Estate used naturally aspirated and turbocharged, 2 liter diesel engines, the all-new version is expected to use a turbocharged petrol or a petrol hybrid engine. This is in order to meet the tightening emission norms given the fact that India will move to the very stringent Bharat Stage 6 (BS6) emission norms. A minimalist interior design with a wide range of features is expected to offered on the next-gen Tata Estate. The original was also quite loaded and Tata Motors would want to retain a similar flavour on the new model. From a connected infotainment system and rear AC vents to airbags, ABS and a 360 degree camera, the next-gen Tata Estate is expected to be a well rounded car. Currently, the only affordable station wagon sold in the Indian market is the Datsun Go+. Unlike most other station wagons of the past, the Datsun Go+ is a decent seller. It recently received a facelift. The car is 7 seater although the last row of seats can accommodate only children comfortably. The Datsun Go+ is powered by a 1.2 liter petrol engine that makes 67 Bhp-104 Nm. A 5 speed manual gearbox is standard. Prices of the Datsun Go+ start from Rs. 3.83 lakhs, ex-showroom Delhi.